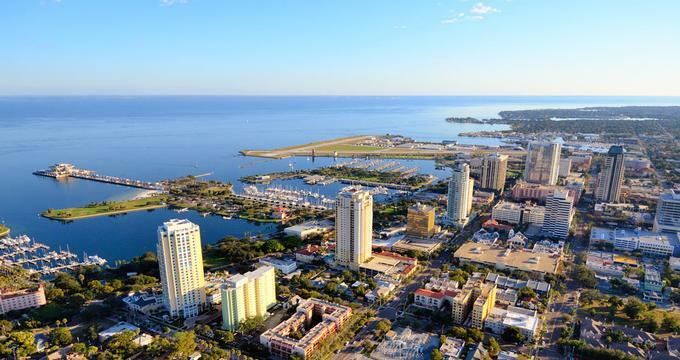 A beautiful weekend destination on Florida's gulf coast, St. Petersburg offers a diverse choice of excellent museums, fascinating gardens, tours and restaurants. Top things to do in St. Pete, FL, for art lovers include the Dali Museum, the Morean Arts Center and the Museum of Fine Arts. Best things to do in St. Petersburg, Florida with kids include the Sunken Gardens, Great Explorations Children's Museum and Boyd Hill Nature Preserve. When architect Yann Weymouth designed the building to house Dali Museum, he offered the great artist his own tribute. 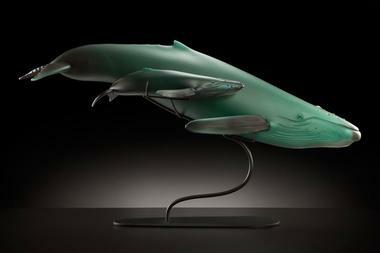 He created a piece of art that combines the fantastical with rational, a combination reminiscent of Dali’s paintings. The piece features a simple square box out of which blooms a large geodesic glass bubble. The museum has the largest collection of Dali’s works in the US with 96 oil paintings, original drawings, book works, sculptures, and prints that encompass Salvador Dali’s entire career. The museum opened in 2011 with the core collection from Reynolds and Eleanor Morse, and many works were added later on. The Dali Museum is one of the best St. Petersburg attractions. It plays an important role in the cultural life of the community, inspiring and delighting visitors with great artist’s masterpieces and hosting a range of events and programs. 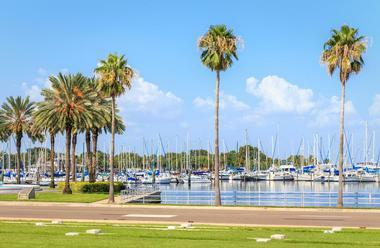 More places to visit: 22 Best Things to Do in Tampa. The Morean Arts Center is dedicated to displaying the artworks of local, national, and international artists, and it also offers a range of art education based programs for children, student, and adults. The Morean Arts Center is home to the Bank of America Children’s Learning Center as well as the Glass Studio & Hot Shop, complete with a workshop for glass artists, teaching facilities and audience. The Morean Arts Center is also home to the Chihuly Collection, a permanent collection of world-renowned artist Dale Chihuly’s work in an award-winning setting designed by world-renowned architect Alberto Alfonso. Margaret Acheson Stuart founded the Museum of Fine Arts in St. Petersburg in 1896, and the museum is dedicated to inspiring, educating, and acknowledging excellence in art from antiquity to the present. The museum achieves this goal through an excellent permanent collection, a variety of rotating and traveling exhibitions, and educational programs and workshops for the community. Located on Beach Drive, the museum is home to over 14,000 objects, including exquisite French Impressionist paintings, Steuben glass, decorative arts, and pre-Columbian objects. The museum also features two interior gardens, one of which is devoted to sculpture with the aim of encouraging reflection and thought, while an intimate second-floor gallery displays works on paper and photographs; there are more than 10,000 images. Tucked away in the heart of the city, the Sunken Gardens is a beautiful botanical paradise that offers a tranquil escape from the hustle and bustle of the city. The 100-year-old garden is St. Petersburg's oldest living museum and is home to more than 50,000 tropical plants and flowers, as well as some of the oldest tropical plants in the country. If you are wondering what to do in St. Petersburg with kids, this is an amazing place to visit. Winding paths, cascading waterfalls, and hidden groves create a serene environment in which to explore and learn about exotic and tropical plants from around the world, and the picturesque scenery make the gardens a lovely venue for special events such as weddings and private functions. The Sunken Gardens also present visitors with guided garden tours and special horticultural programs throughout the year. Boyd Hill Nature Preserve is an award-winning 245-acre park that features an array of natural landscapes and miles of boardwalks and walking trails, making it ideal for enjoying a variety recreational and outdoor activities. Resting on the shore of Lake Maggiore, Boyd Hill is home to a range of unique ecosystems, including swampy woodlands and willow marshes where thousands of orange dancing viceroy butterflies live. Tall pines shade walking trails through pine flatwoods, which border the scrub and the broad-leafed forest, while scrub sand trails feature turkey oak, sand pine, and wiregrass, hinting at what Florida’s landscapes were like more than 12,000 years ago. More than six miles of walking trails offer fantastic bird watching and wildlife spotting opportunities, and sheltered picnic areas and children’s playgrounds provide family-friendly fun. The park also offers overnight camping facilities and a small gift shop. The popular Mahaffey Theater is located in downtown St. Petersburg in the recently renovated Duke Energy Center for the Arts. This beautiful performance art venue opened its doors in 1965 and underwent several subsequent improvements and renovations. The theatre has 2,031 seats, elegant European-style private box seating, a magnificent ballroom, and breathtaking views of the waterfront. Mahaffey Theater is famous for serving as the venue for top performances by well-known artists. If you are looking for romantic date ideas in St. Petersburg, watch a performance at Mahaffey Theater. It hosts rock and pop music events, Broadway shows, classical music performances, and comedy and dance shows. The theater actively supports the popular Class Acts Education Program, which encourages local children to appreciate and engage in performing arts. The result of the remarkable journey and clear vision of St. Petersburg philanthropist Walter P. Loebenberg, the Florida Holocaust Museum opened the doors of its new, 27000-foot building in 1998 in memory of the millions of women, men, and children who perished or suffered throughout the Holocaust. The museum’s goal is to prevent such atrocity from ever happening again by teaching all races and cultures about the shared dignity and inherent worth of all humans. 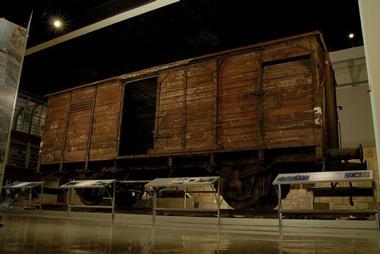 The museum’s permanent exhibition entitled History, Heritage and Hope contains original historic artifacts, photographs, and documents relating to the Holocaust. There are also two galleries for temporary exhibitions, as well as the biggest library about the genocide and Holocaust in the American southeast. When you combine fresh produce from local farms, great food from 15 different countries, original arts and crafts created in the city, and fantastic music, you know that people will come and have an incredible time. In fact, every Saturday from October to May since 2002, more than 10,000 people have been showing up to see what there is to eat and what they can buy for later or just to have a nice, relaxed time with friends and neighbors. If you are looking for fun things to do in St. Petersburg, Florida with the whole family, this is a great place to visit. The market, which is located in the Al Lang Field parking lot, has about 200 registered vendors that sell an incredible array of goods such as seafood, pastries, chocolates, salsas, cheeses, pickles, ice cream, spices, breads, meats, and much more. 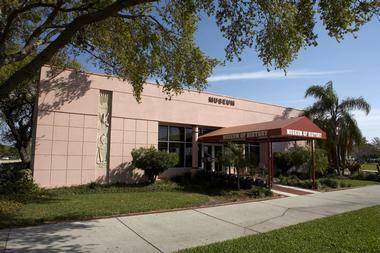 The St. Petersburg Museum of History is the oldest museum in Pinellas County, and it started its life as the St. Petersburg Memorial Historical Society, which was founded in 1921. Mary Wheeler Eaton led the society members, who started collecting historic artifacts, natural history items, original documents, rare photographs, papers, and all kinds of other items that appeared relevant. Their persistence paid off, and in 1922, the society became a museum, moved to the old aquarium building at the same location as today’s museum building, and opened its doors to the public. Visit the museum to learn about the history of St. Petersburg through exhibits and stories about Orange Belt Railroad, Women’s Town Improvement League, the inaugural season of the Rays, the first commercial airline, and much more. The museum also hosts many temporary exhibits, events, and popular activities. The Weedon Island Preserve is an expansive natural reserve and coastal system spanning more than 3,000 acres along Tampa Bay in Pinellas County. Home to a range of aquatic and upland ecosystems that feature a vast diversity of native plants and animal species, the Weedon Island Preserve was established to protect the region’s natural and cultural resources, as well as educate the public about them. The preserve offers a range of recreational and outdoor activities to enjoy, including hiking, canoeing, kayaking, fishing, and bird watching. The Weedon Island Preserve Cultural and Natural History Center offers visitors an in-depth look at the natural, cultural, and archeological history of the preserve through excellent exhibits by local artists and photographers. The Weedon Island Preserve is open seven days a week, from dawn to dusk. 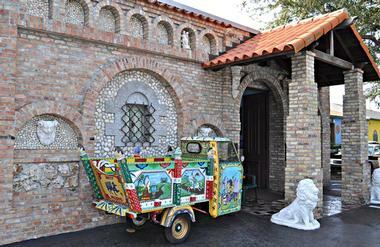 Florida CraftArt is a labor of love from Louis and Elsa Freund, both professors at Stetson University in Deland. They wanted to elevate fine craft into an art form and in 1951 started organizing workshops, conferences, and annual exhibitions with local and other American craftsmen. In 1995, they first rented and then bought the old Rutland Department store and converted it into a large retail gallery on one floor and exhibition gallery on the second floor. The establishment also has a classroom and 18 artists’ studios. The gallery and the store are great places to make purchases and add to your art collection or a very special gift. You will find a wonderful selection of original fine jewelry, glass, clay, ornaments, and other kinds of crafts created by some of the most talented artisans in Florida. The Kenwood Historic District is a unique 375-acre residential area in St. Petersburg famous for its bungalows built between 1920s and 1950s. Together with the bungalows, Kenwood has 2,238 historical buildings in a range of architectural styles, including frame and masonry vernacular, minimal traditional, craftsman bungalow, Tudor revival, colonial revival, Mediterranean revival, Prairie, ranch, American Foursquare, mission, Dutch colonial revival, and international. About 95 percent of all structures in Kenwood have contributed to the neighborhood’s entry into the National Registry of Historic Places. Because of meticulous conservation, almost 100 years after the development of Historic Kenwood, very few structures have been taken down. 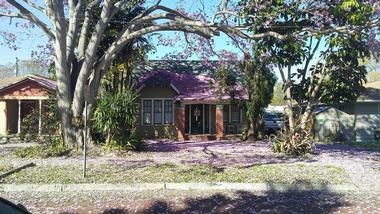 All renovations have carefully kept the architectural and historical integrity of the originals. With its tree-lined charming streets and brick sidewalks, Kenwood is an incredibly pleasant neighborhood to stroll through. 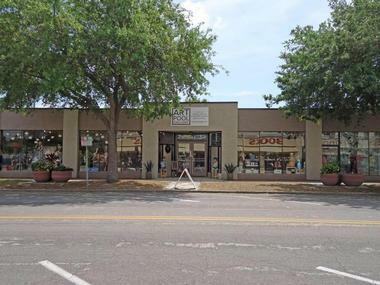 ARTpool Gallery and Vintage Boutique is one of St. Petersburg's hippest boutique stores, originally opened in 2008 by local artist Marina Williams. The store, which is located within the city's Grand Central District, has evolved from use as an art gallery space into a multipurpose vintage clothing and jewelry store, vinyl record shop, and a beverage bar combined with gallery and event space for the local St. Petersburg art community. Large collections of women's, men's, and children's clothing are showcased, along with funky retro and antique home decor and gift selections. Local artisan markets, art and fashion shows are hosted regularly. The Cider Press Café is one of St. Petersburg's premiere fine dining restaurants, serving up an acclaimed vegan menu of modernist, holistic plant-based cuisine. The restaurant, which was opened in 2011 by owners Roland Strobel and Johan Everstijn, is named in honor of its 19th-century-era apple press, which was manufactured in Springfield, Ohio and is on display at the restaurant's entrance daily. Since its opening, it has been the recipient of a number of national dining awards, including a mention as one of the United States' top vegan restaurants by Trivago. Breakfast options range from clever tofu scrambles to vegan waffle delicacies such as waffogatos, which top waffles with house-made ice cream and espresso shots. At lunch and dinner, diners can choose from a variety of shareable appetizers such as cauliflower buffalo bites or enjoy falafel, black bean patty, and portabella mushroom burger options. 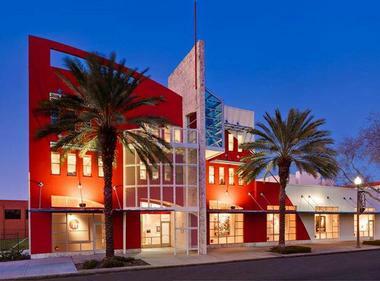 Great Explorations Children's Museum, one of Florida’s top children’s museums and learning centers, was established to create an environment in which children can explore, discover, think, and learn through interactive and hands-on play experiences. A variety of fascinating exhibits offers unique learning experiences; one of these is the BellaBrava Pizza Kitchen where children explore the workings of a kitchen and get to make their own pizza with soft sculpture materials. The Critter Cave gives kids a chance to see an array of reptiles and amphibians up close, while Build It allows visitors to think, design, plan, and build. Learn about the importance of caring for animals at Pet Vet, or go shopping at the mini supermarket. 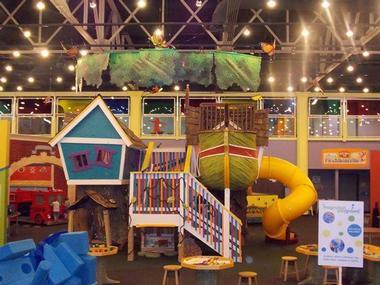 The Great Explorations Children's Museum hosts a variety of events throughout the year, as well as birthday parties and other special occasions. Il Ritorno is an upscale Italian restaurant that brings an authentic taste of Italy to St Petersburg. The warm and inviting restaurant features an intimate and attractive dining room with flickering candles and elegant décor, creating a perfect atmosphere for the delectable cuisine. Combining traditional rustic Mediterranean fare with a personal touch, owners David and Erica Benstock present a menu of contemporary Italian with homemade delights like ’nduja sausage and cured meats, pasta, pickled ramps, and preserved tangerines. Antipasti include torched yellowtail served with finger lime, espelette peppers, and scallion, octopus puttanesca with kalamata pureé, calabrese chili and grana crisp, and stone crab with truffle crème. Some of the more popular entrées are the black grouper with Romano beans, Key West pink shrimp and shrimp and prosciutto broth, and pancetta spiced duck breast served with caramelized brussel sprouts and celery root and apple purée. End with something sweet like the pistachio semifreddo with peach compote and candied pistachio and pair your meal with international wines from a curated wine list. Doo's Amazing Tours offers a variety of sightseeing tours in and around St Petersburg, from Segway and kayaking tours to bike tours and rentals, paddleboarding tours, and Spring River trips. 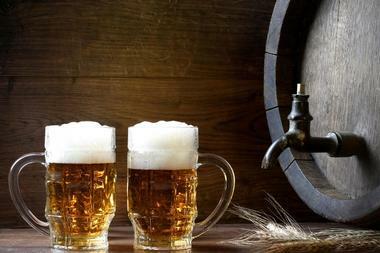 The award-winning company has a tour for every taste. Enjoy a sumptuous Sunday Italian-style brunch followed by a bike ride through Boyd Hill Nature Preserve on the La Dolce Vita Tour. You can also explore hidden mangrove tunnels and ancient burial mounds around Weedon Island on a guided kayaking tour or see dolphins and manatees up close on a paddleboarding experience. Perched above The Birchwood in the heart of St. Petersburg’s waterfront, The Canopy Rooftop Lounge is one of the best places in St Petersburg to relax over signature cocktails and superb cuisine. 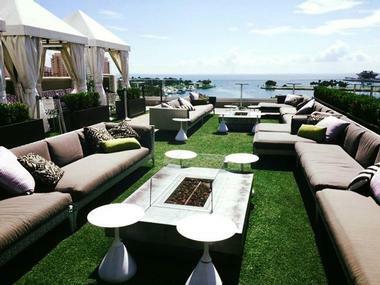 The stylish rooftop lounge boasts private cabanas, cozy fire pits, and comfortable lounge seating with unparalleled views of Tampa Bay. A fully stocked bar presents patrons with choices such as handcrafted cocktails, fine wines, and selection of spirits, while the Birchwood’s upper-level kitchen serves a seasonal menu of casual dishes that include sandwiches, flatbreads, and appetizers, all of which are made from locally sourced ingredients. An air-conditioned covered bar offers added comfort on warm summer afternoons while beautiful cabanas and crackling fire pits combine a high-class lounge ambiance with a casual Florida lifestyle atmosphere. Boasting an eclectic, relaxed vibe, uplifting music, friendly staff, and unique cocktails, the Mandarin Hide is the epitome of downtown St. Petersburg’s bold transformation into a classy nightlife venue. Vintage décor in the room-length bar merges with a modern cocktail menu that features an array of tasty concoctions, international wines, and craft beers. 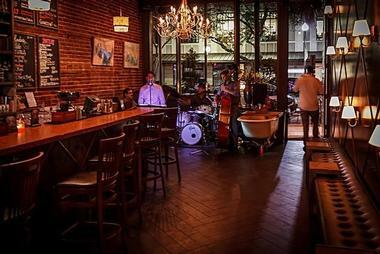 Mandarin Hide offers live Jazz on Wednesdays, American Newgrass by Boxcar Hollow on Thursdays, and a rotation of great live music on Sundays. 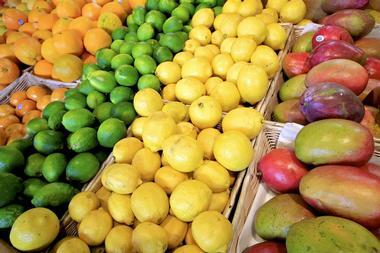 Stop by on Sunday or Saturday from noon-6pm to sample the delicious Bottomless Mimosas which are prepared with a variety of juices including lavender, watermelon, pomegranate, strawberry-rose and pineapple. Located on the north and south sides of Tampa Bay, the Skyway Fishing Pier State Park is based on the Sunshine Skyway Bridge that connects St. Petersburg with Sarasota and provides an excellent fishing venue. While the piers of the bridge are extremely high above the water, accessible areas around the pier offer excellent fishing, and you can find both shallow flats and deep-water channels. Fish species that can be found here include redfish and spotted sea trout throughout the year while the warmer months bring migratory fish such as cobia, tarpon, Spanish mackerel, and kingfish. The bridge is lighted at night for night fishing, which helps to attract a variety of different nocturnal species of fish. Mazzaro is completely Italian, bustling, and energetic with heavenly smells and colorful displays that are sure to make you ravenously hungry. This is the place where Italian men and women go to get supplies for this week’s meals and where tourists go to taste as many treats as they can and take photos of the rest. 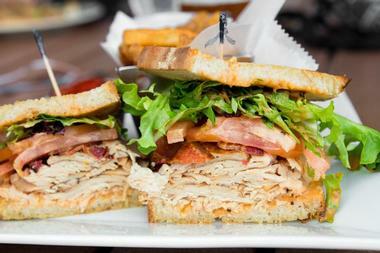 The breads and pastries are baked every day and sandwiches are made right in front of you. They make their own pastas and sauces and import salami, ham, oils and condiments all the way from Italy. They also roast their own coffee and fill canollis while you wait, and the market has so many kinds of cheeses it is hard to decide just what to get. Going to Mazzaro’s is one of the great pleasures residents of St. Petersburg can enjoy every day, and foodies have to take the experience in small doses to avoid sensory overload. Gizella Kopsick Arboretum is a two-acre park that Gizella Kopsick transformed from a miniature golf course into a world-class palm arboretum in 1976. Established to allow visitors to study and enjoy a variety of exotic and native Florida palms and cycads in one beautiful setting, the arboretum is home to more than 500 cycads and palms from around the globe. Amenities such as drinking fountains, cozy conversation corners with wooden benches, shaded gazebos, and paved walkways can be found throughout the park, making the arboretum very accessible. The Gizella Kopsick Arboretum is open daily from sunrise to sunset and guided tours through the park can be arranged. Island Boat Adventures is a family-oriented tour boat business that offers a variety of sightseeing cruises and snorkeling adventures in and around Florida's West Coast. Operating from the Tierra Verde Marina Resort, the company offers cruises that are based on the Calypso Cat, a spacious 45’ catamaran with a qualified crew and full amenities. Cruises and Adventures offered include Dolphin Watching and viewing wild dolphins in their natural environment; Snorkeling over the ruins of Fort Dade, which is home to myriad marine life; and exploring Egmont Key. Discover the history of this famous little island by hiking through Spanish-American War forts, searching for shells and shark’s teeth on the beaches, or snorkeling in the crystal clear waters along the shoreline. The Calypso Cat can also be rented for private charters and special events cruises such as watching dolphins at sunset or team-building functions. Meze 119 is a vibrant Mediterranean eatery that serves authentic Middle Eastern and vegetarian cuisine. 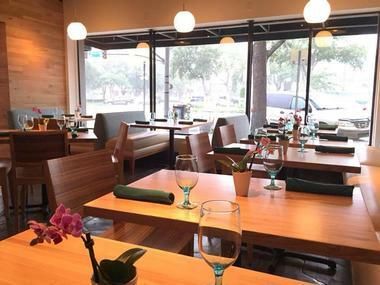 Bright and airy with colorful pillows and comfortable seating, Meze 119 offers a brunch, lunch, and dinner menu of delicious Mediterranean fare that has won the restaurant numerous culinary awards. Start with meza of spinach cakes, falafel, roasted cauliflower, and bourekas followed by fresh salads or soups and entrées of traditional dishes such as souvlaki, shwarma, flat iron steak, or stuffed peppers. 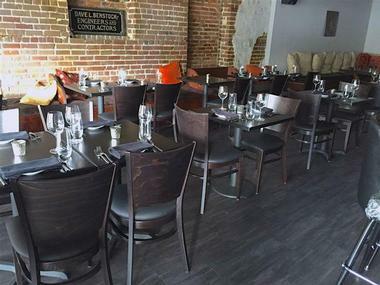 Pair your meal with a selection from their range of beers and wines and enjoy special events such as specialty prix fixe dinners throughout the month. 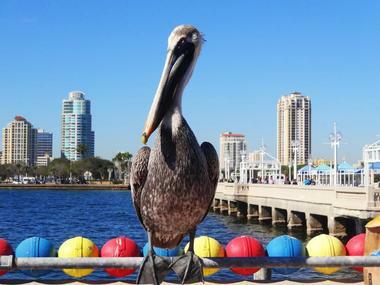 More weekend & day trip destinations: West Palm Beach, Florida. 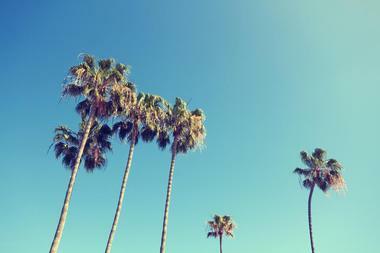 Usually, walking is the best way to discover any new city. But, what if you could be just as close to everything that is going on without having the sore muscles to show for it? A Segway is an electrically powered vehicle like a powered skateboard but with much better balance. St. Petersburg Segway Tours will put you on a Segway, offering you a chance to be a kid again, and take a two-hour tour of the city, going where no bigger vehicles can go without having to move a muscle. You will see the Pier, famous Vinoy Park Hotel, Dali Museum, and many of the city’s secret nooks and crannies tourists normally do not get to see. Segways are safe and suitable for anyone over the age of 11 and for any state of fitness. Sawgrass Lake Park, a 400-acre park located in Pinellas County, was established for the public to experience and learn about one of the Gulf Coast of Florida’s largest maple swamps. Designed to allow people to walk through the swamp, the park features an elevated mile-long boardwalk and half-mile dirt trail that presents fantastic opportunities to spot birds and wildlife in their natural habitats, including alligators and turtles. During the spring and fall, thousands of birds migrate through the park and attract bird-watchers from all over the world. The boardwalk has several observation towers from which birds and wildlife can be spotted, as well as a modern education center, restrooms, and one picnic area with a grill that can be used on a first come, first served basis.